Discussion Acer Nitro N50-600EB14 - How To Remove Optical Drive Bay and PSU? 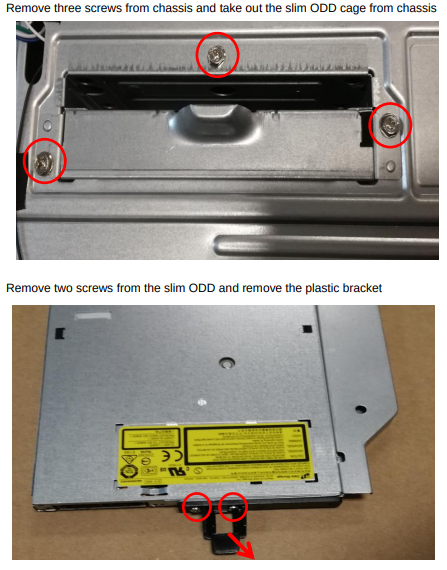 Acer Nitro N50-600EB14 - How To Remove Optical Drive Bay and PSU? Hi, was looking to upgrade the n50-600's GTX 1060 to a 1070ti. However, in order to do that, I first need to swap the 500W liteon PSU for a better PSU. I've been able to take out the 4 pin connector for the CPU, the peripheral cables for the hard drive, and the 6 pin connector for the 1060. However, I still need to remove the 24 pin connector on the motherboard in order to take out the 500w PSU and swap it. 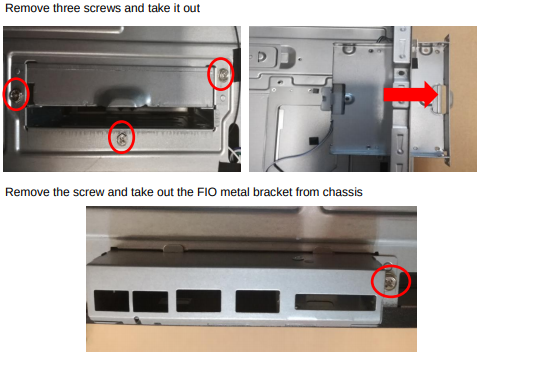 Unfortunately, the Optical Disk Drive Bay is in the way of the 24pin connector. Please check if the below images. These pictures are extremely useful for taking out the drive bay itself, particularly the first 2. However, I now have run into another problem - those 3 screws are unfortunately underneath the black plastic shroud that surrounds the metal chasis of the n50-600. Even if said screws were magically unscrewed somehow, it would still be impossible to physically pull the slim ODD out. Do you happen to have a guide on being able to remove the front part of the plastic shroud as well?